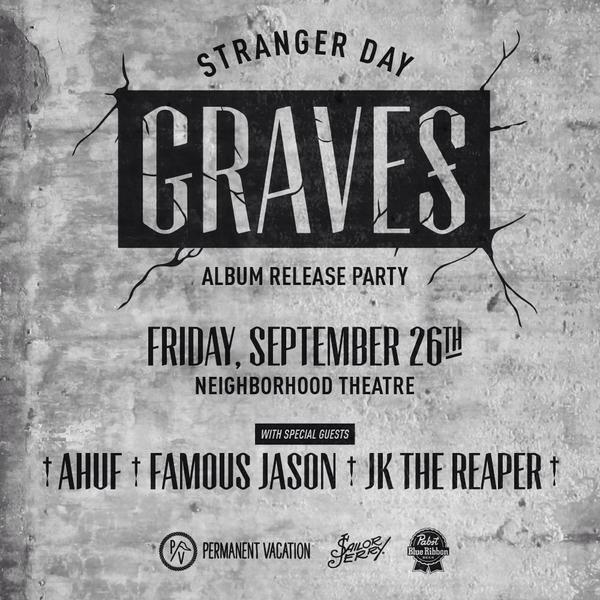 This Friday at The Neighborhood Theatre, Stranger Day is having a release party for his new album, Graves. Special guests of the night will be Ahuf, Famous Jason and JK The Reaper. Admission is free before 11 so why not just come before 11! Come out and support Stranger Day’s new album and Charlotte altogether.